Remember my last post saying i was rushing through my finals and endless assignments? It's all done! I'm currently enjoying my semester break for 7 weeks now, which means i can have more time to do my personal hobbies, blogging included. From now on, i'll start posting these numerous abandoned pictures left on my laptop. 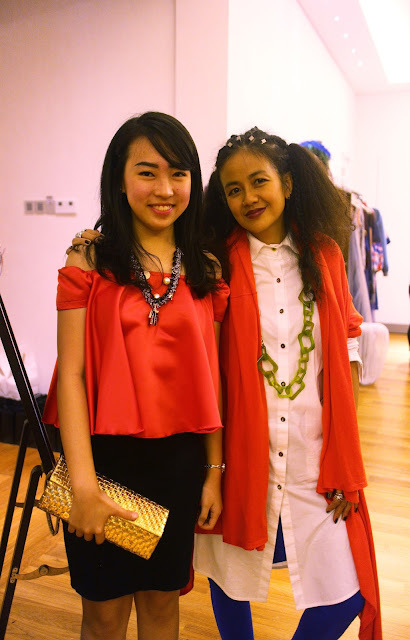 So last November '15, i was invited to attend an exclusive event called Melinda Looi Fashion Suites where Melinda Looi SS16 & Chinese New Year 2016 collection was being showcased. It was such an exciting event, where i could met the designer Melinda Looi in person and see the collection before they held the fashion show in March 2016. 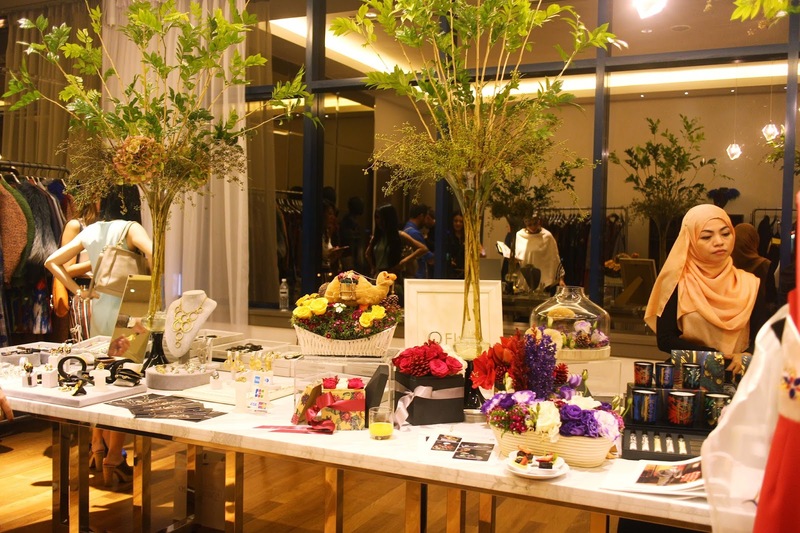 Besides showcasing her collection, there were also some pampering experience for us to try. Melinda Looi SS16 is all about life's lines and crossings. As you can see on the garments, there are beautiful abstract lines and paintings on almost all over her collection. In fact, Melinda herself was inspired by the paintings in the process of designing them. Here's a mini fashion show where models showcasing Spring Summer 2016 collection during Melinda Looi Fashion Suites in Pullman Hotel, Bangsar, Kuala Lumpur. I have to say i was amazed to witness the whole collection. The lines in the paintings are transformed into simple stunning designs, with not so complicated cuts. And i like the idea of having some bold colors: orange, green and blue in her collection. The event was not only attended by bloggers, but also Malaysian celebrities. If you're from Malaysia and the surroundings you might notice some gorgeous celebrities on the picture above like Amber Chia, Carmen Soo, or the singer Jaclyn Victor. All in all, it was such a great opportunity to attend the Melinda Looi Fashion Suites last November. I am thrilled to have met the designer in person and witness the incredible collection with some amazing people. Thankyou Melinda Looi & team for having me. It was such a great experience! Everything looks so chic! love this! Beautiful photos. Looks like a great event. Wow!! This Melinda Looi Fashion event seems interesting. I wish I would also have invited to attend this event. All of the celebrities are looking gorgeous in beautiful dresses. I must say that was such a great experience for you. You know I got an invitation for a fashion event at lovely venue NYC in next month and I am going there with my sister.